Marketing is not an event. It’s an ongoing process and you have to have a plan. Your marketing simply won’t get done without a plan, and that plan has to actually be implemented. In order for your plan to be implemented on an ongoing basis you have to schedule each and every activity. This is the secret to having a steady stream of leads coming in the door. 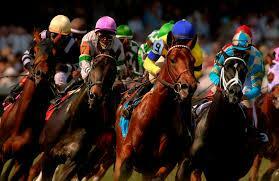 A few weeks ago Churchill Downs put out a schedule of all the events for the Kentucky Derby. They do that so everyone can put it in their calendar. So folks can plan. They want their events to be successful. Now think about it for a minute; do you think that schedule was actually just created at the same time it was published? You know it wasn’t. You can bet next year’s dates for the activities are already on a schedule. They have already begun the planning process, scheduling venues and doing many more things now to ensure next year’s event is a success. They know that without plan they would have little chance of success. Folks can’t show up if they don’t have a schedule of events. If you want folks to “show up” as a result of your marketing you have keep your marketing machine on course. When it comes to your marketing, you first need a “master plan”. 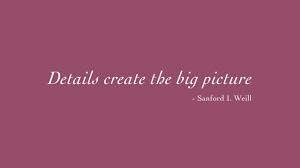 Your marketing plan should certainly have a clear vision of the big picture, but it has to be detailed. It doesn’t have to be complicated, but it has to be detailed. Once you know what you want to achieve, then it’s just simply a process of breaking the big things down into manageable tasks, and then putting those tasks on a calendar.